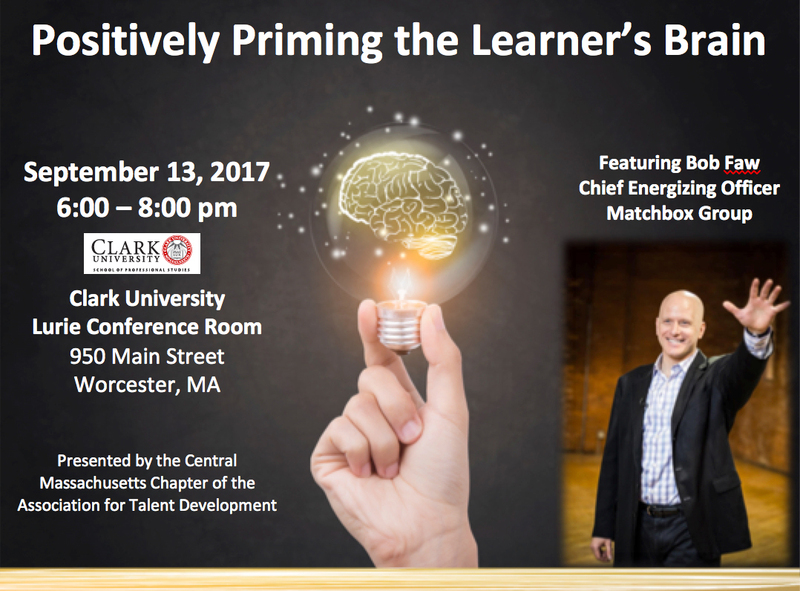 ATD Central Massachusetts - CMATD presents Bob Faw: Positively Priming the Learner's Brain! CMATD presents Bob Faw: Positively Priming the Learner's Brain! 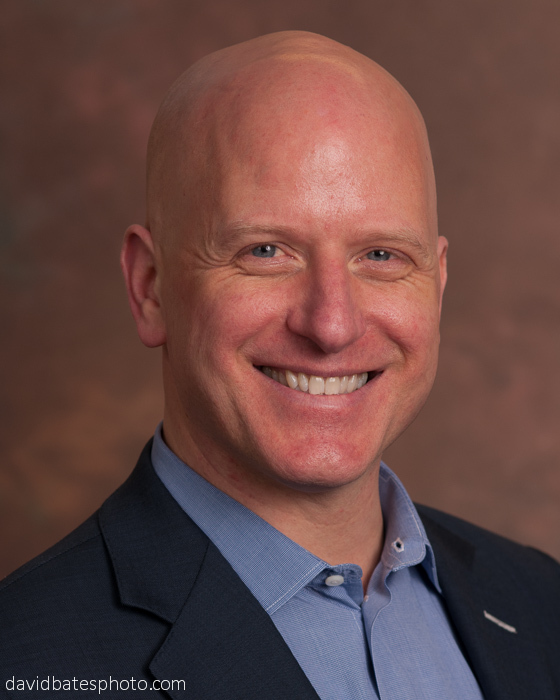 Bob Faw, the author of “Energize: Ignite Passion and Performance with User Friendly Brain Tools” will share a number of tried and true tips for “positive priming” learner’s brains. We use priming to help people be more open to learning, and it even affects their confidence in putting the ideas into action. Our learners are being primed by all related experiences in their life in ways that can help or hinder their learning. We might as well do it on purpose and in their best interest. There will be high audience interaction, with sharing ideas, and teaching each other. There will also be a dynamic blend of improvisational comedy and storytelling to engage people and help lessons stick. 1. Improve ability to prime people in the direction we need for better learning. 2. Understand negative priming we may be doing, and how to replace it with priming that has more positive effects. 3. Gain specific tools and activities to prime people towards a positive learning outcome. Internal ATD professionals seeking to better “sell” training to management. Also, this is for active trainers who want their learners to be more motivated and apply more of the learned skills at work. And for those that want more enjoyment in training. Bob Faw will give away a few copies of his book. Attendees will also be given access to videos, articles and free e-books created by him. If applicable, Bob Faw will also send the collective ideas gathered during the workshop to the participants and ATD, if it desires. The building is The Higgins University Center. It is on the first floor. When you enter the building, take a left and it is right in that hallway. The best parking is right on Main Street. You can park right in front of the building (actually the Main St runs on the side of the building. I have included a campus map for you. If there is no parking on Main St (which would be unusual) there is parking in the lot across the street.